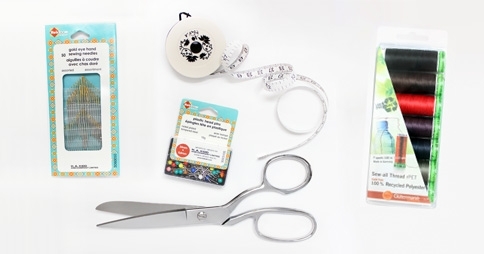 Enter now for your chance to win these super handy essential sewing notions!!!! What every student needs in their dorm! Always be prepared with Gütermann rPet Thread made of 100% recycled polyester, good quality scissors, a variety of hand sewing needles and a measuring tape. You’ll be ready for most minor sewing repairs! Essential sewing notions perfect for going to university? Whatever the case may be, these super handy notions are perfect for sewing repairs. Sewing Patterns Free: When is a Quilt a Storage Bag? One day left to enter your chance to win this handy-dandy prize!!! ! Thank you all for your comments and GOOD LUCK to everyone! Perfect for repairs and for my quilting projects! I don’t have any kids, but these would be useful for me! I am always needing quilting supplies!